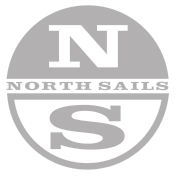 North Sails makes fast and versatile sails for the YW Dayboat class, manufactured using the most advanced technology and highest quality materials in the industry. Our YW Dayboat experts are available to help you get the most out of your North Sails product offering sound advice, tuning information and expertise. The M-4 Mainsail is based on our very successful Enterprise and Albacore sail designs. The sail uses a bi-radial layout which helps keep the sail smooth and fair in the high load corners while allowing precise shaping through the middle of the sail. The YW Dayboat NY-4 Jib also benefits from our extensive research in Enterprise and Albacore designs. Careful balance between seam shaping and luff curve produce a great sail for all conditions and crew weights.